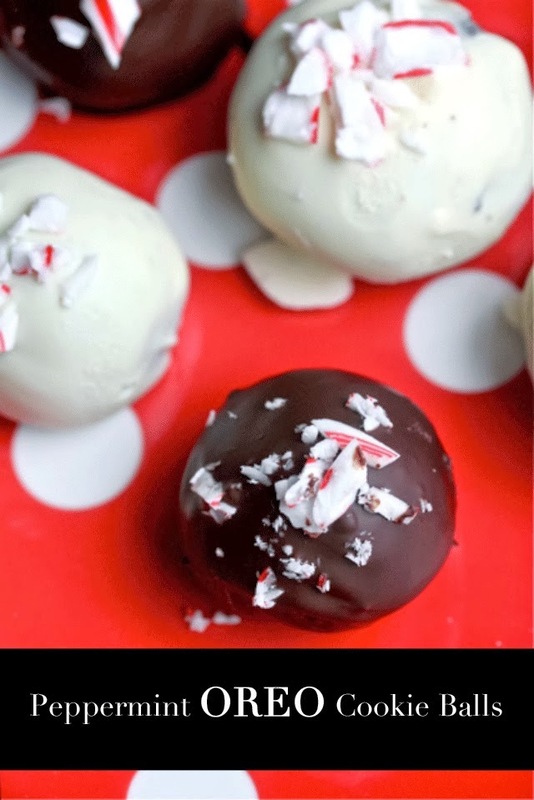 Sierra's View: Holiday Peppermint OREO Cookie Balls! One of my favorite things about the holidays are all of the yummy treats that we get to eat (and have to keep off!) Heaven knows that I am the worst cook in the world, but I wanted to get in the festive mood, so I decided to do something quite simple. T Money LOVES OREOS, I decided to make some Peppermint OREO Cookie Balls. Peppermint during the holidays is a huge hit. 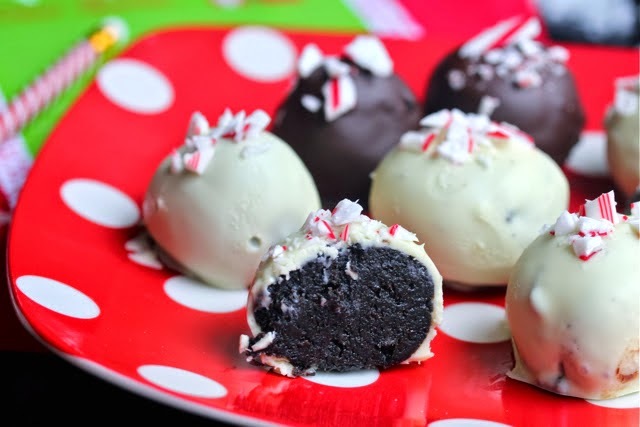 What I did is take the original OREO Cookie Ball recipe and just added peppermint candies on top of them. I think that baking is something that I need to start doing more of, especially during the holidays. My mother always makes treat plates for families in our area who need a little extra love or who have been good friends to them. I thought that this was such an incredible idea and it's something that I want to try to do. I think I might make these cookies again and put them on these Christmas treat plates. What do you think? 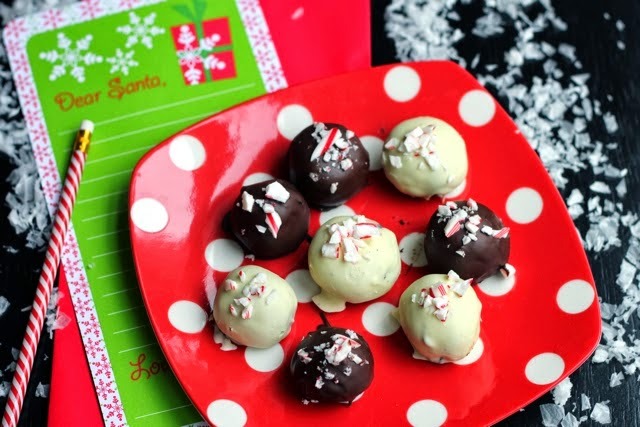 These Peppermint OREO Cookie Balls are a huge hit! They are absolutely delicious and they are, quite honestly, simple to make. This is a recipe that I need to keep for years to come! -MIX cream cheese and cookie crumbs until blended. -SHAPE into 48 (1-inch) balls. Freeze 10 min. Dip balls in melted chocolate; place in single layer in shallow waxed paper-lined pan. -CUSTOMIZE it with your own ingredient additions or decorative skills. -REFRIGERATE 1 hour or until firm. 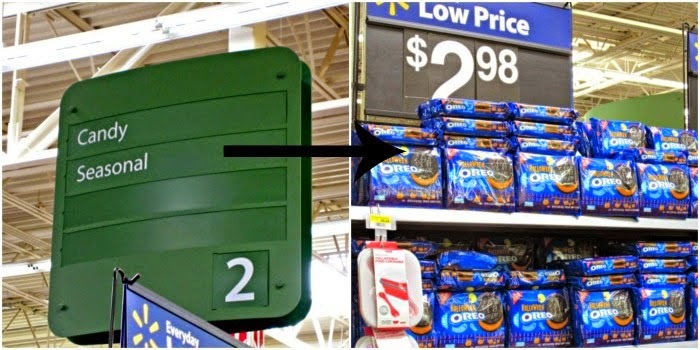 I found these Oreos in the "Candy-seasonal" aisle at my local Walmart. P.S. Don't forget the #OREOCookieBall Pinterest party taking place on Pinterest on Saturday, December 6 at 12pm ET. 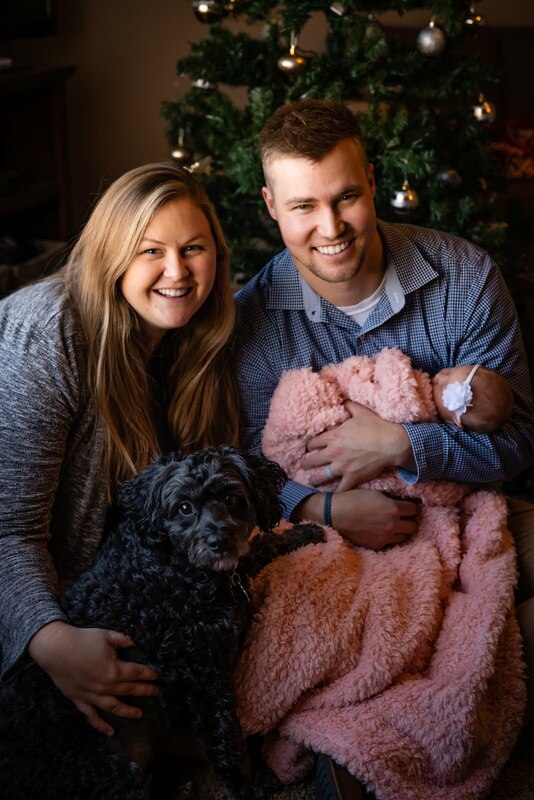 Click here to join this fun event!